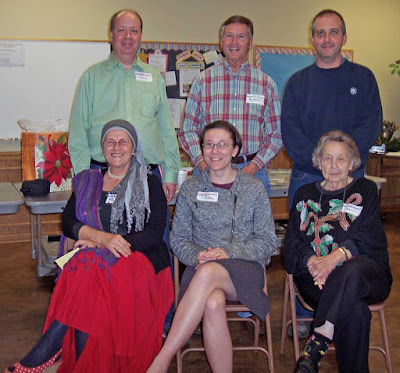 On Friday, December 11th, 2015, the Neighborhood Association held its annual Christmas Potluck Party at the First Presbyterian Church. The party was an opportunity for friends and neighbors to gather and share stories as well as enjoy great food. More than 30 people attended the party. 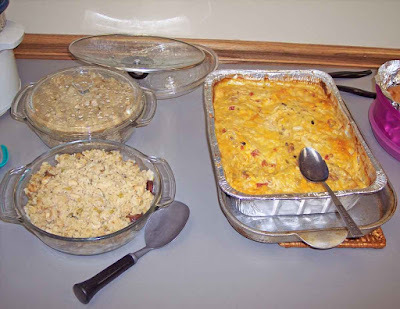 Attendees dined on diverse variety of potluck dishes including scalloped potatoes, chicken salad, chicken salad and crock-pot enchiladas. 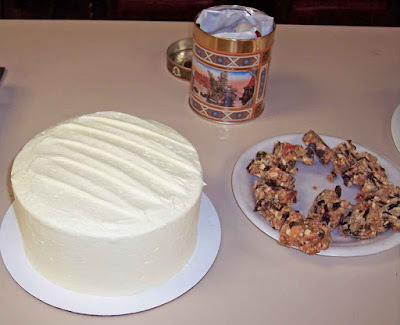 The dessert table was well stocked and included homemade brownies, pineapple upside-down cake and Italian wedding cake. Attendees included members of the Park Avenue Community Association and the Arkansas School for Mathematics, Sciences and the Arts. As has become something of a tradition over the last few years, a drawing for door prizes was held. The prizes included calendars, mouse pads, note cards and refrigerator magnets all featuring scenes from the Valley. Special thanks goes to WVNA President Mark Toth for donating the prizes and playing host during the drawing. Everyone received a door prize. Five lucky attendees won twenty dollars cash. Lindsey Wadell and WVNA Treasurer Darthy Tyrity. and WVNA member John Pietrzak. 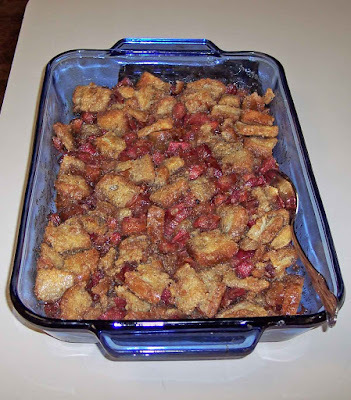 Warning: Photos below may induce hunger pains! 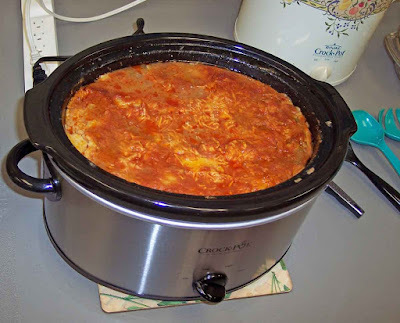 For the second year in a row, the entrees included Crock-Pot Enchiladas. 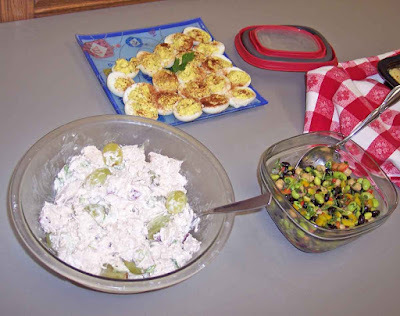 The chicken salad (left front) was popular as were the deviled eggs and bean salad. The macaroni and cheese casserole was quickly devoured. The creole spicy rice and sausage (left) was provided by Association member John Lewis. 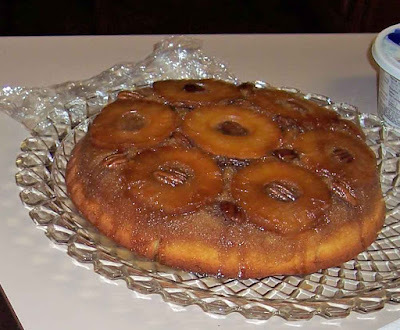 Association member Mark Toth once again brought a homemade pineapple upside-down cake. The cake quickly disappeared. 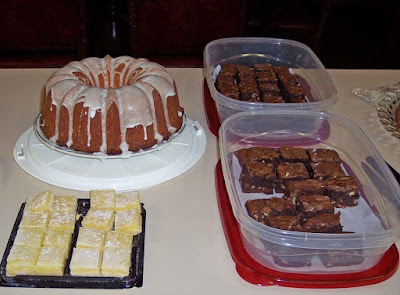 The variety of desserts included homemade brownies, lemon bars and lemon bundt cake. The Italian wedding cake as delicious as it was pretty. The homemade berry cobbler did not last long.